So when I heard that we would be shooting an engagement session in a surgical room we nearly had a heart attack (thank goodness we were already in a hospital). But beware and keep your scrubs on because if you don’t you will get scolded, lesson learned. 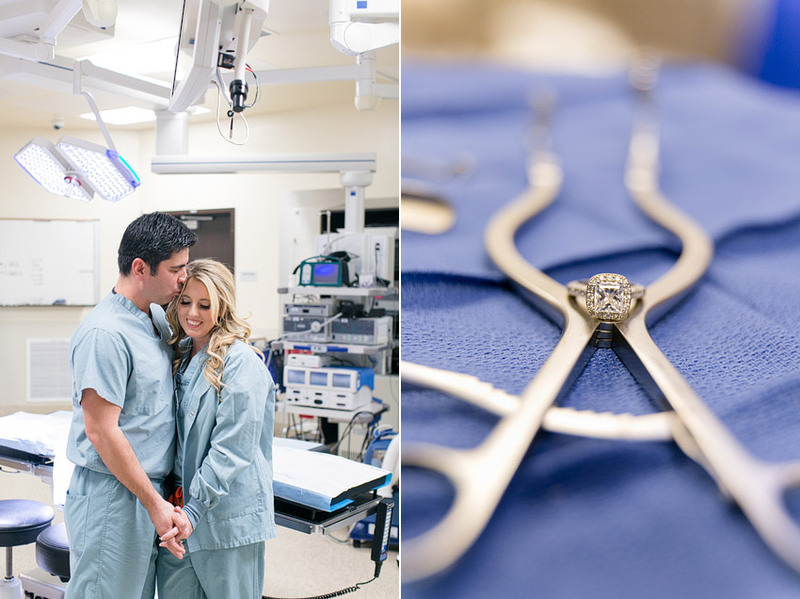 Mario’s a surgeon and Lauren is a nurse, and this location was perfect for their love story to operate. The whole time I felt like I was watching an Episode of Grey’s Anatomy- but like, with less blood and more romance. Let’s just say the heart monitors were off the charts for this pair, but what do you except when you visit the Love Doctor? Hey there Leah! This is a strange request, haha. 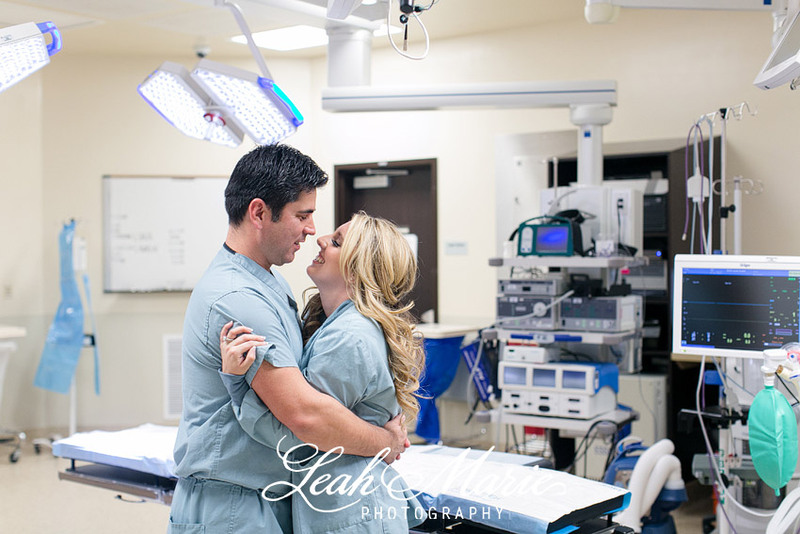 I just read and saw the blog post about your engagement session in an operating room. I am an OR Nurse and my fiancée is an orthopedic trauma consultant who works in the OR with me, and that’s how we met. We are trying to get our hospital to approve us for taking some of our professional photos in one of the ORs, and I’m wondering what Lauren did to make this happen. Would there be any way you could help put me in touch with Lauren so I can pick her brain about how to go about getting this approved?! I’m so excited about the possibility of this. I was surprised to see someone else thought of the same thing! Anyway, I would really appreciate any help at all with making this happen. Thanks so much! Oh and you do BEAUTIFUL work by the way.